First up, a bit of a random bonus. 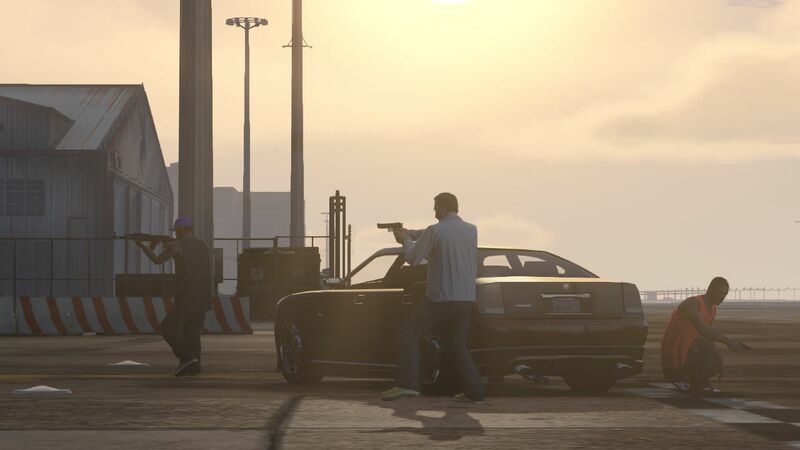 This week calling for support from notorious friends in high places in GTA Online just got more affordable. So if you find yourself in need of backup, air support, transport or just need to disappear for a while, dial up any of your allies for a little "Roadside Assistance" and get 50% off the normal price. These services can all be accessed via the Contacts menu on your GTA Online character's in-game phone. Discounts run until September 7th. Next up, end of summer blues got you down? 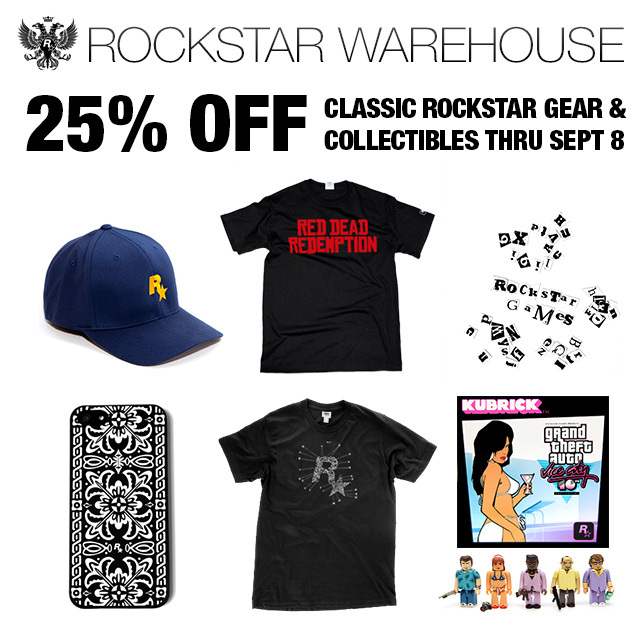 Get up and drop some cash at the Rockstar Games Warehouse for their End of Summer Sale. Get 25% off of your favorite apparel and collectibles from some of their most popular games. The sale runs through Monday, September 8th, so you have a little over a week to take advantage. 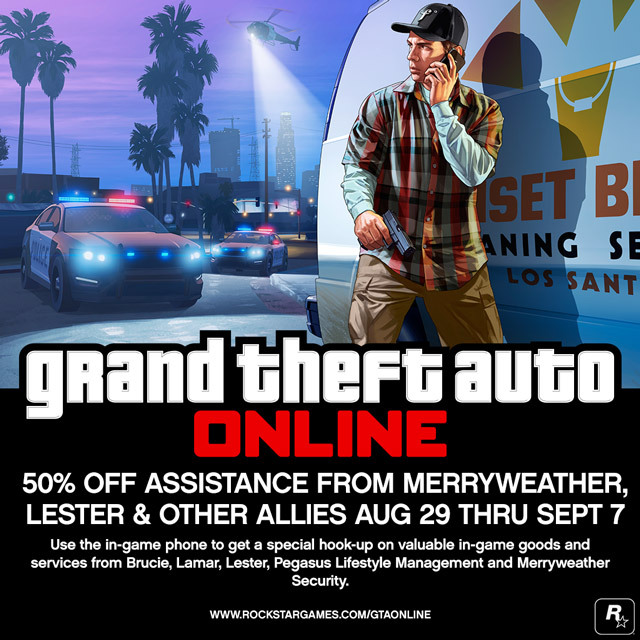 GTA Online Friend Assist Discounts, RS Warehouse Sale - Discounts both virtual and real! Take advantage of contacts in GTAO and get your hands on some merchandise from the Rockstar Warehouse.